Flower animation and images for personal use. 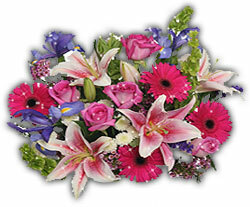 Flowers include apple blossoms, bitterroot, lillies, camellias, daylilies, blue bells, daisies plus people and flowers. Apple Blossom light pink and yellow. Bitterroot with leaves and root. Calla Lily flower with stem and leaf. 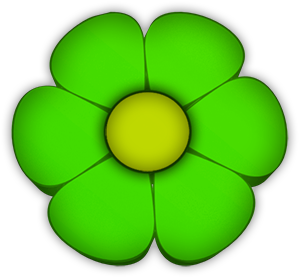 Green and yellow flower clipart - PNG. Red Camellia with green leaves. 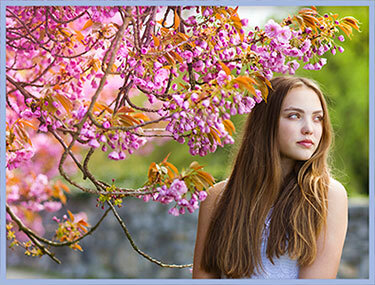 Beautiful girl enjoying beautiful spring flowers. Bell flower blue, yellow and green. 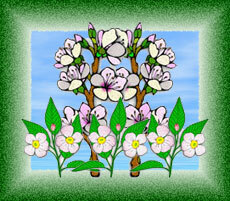 Apricot and Apple Blossoms with green frame and a blue sky. Purple Aster with stem and leaves. Flowers being watered with a water can. Yellow Daisy flowers with stems. 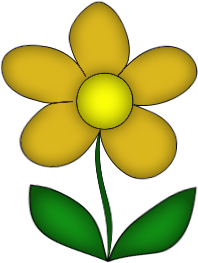 Golden flower with PNG transparent background.